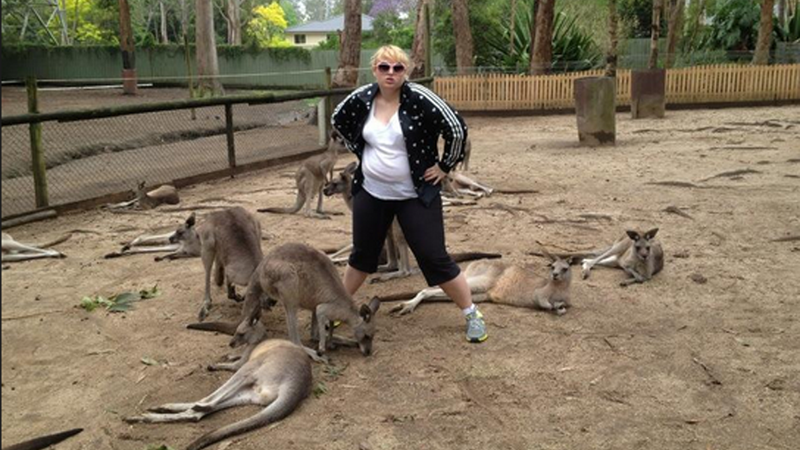 Here's Rebel Wilson hanging with a bunch of kangaroos. Which, I guess you already know because I told you in the headline and you have eyes. But still, it's fun seeing Australians doing Australian things! I bet after this she put some shrimp on the barbie and then drank some Fosters and thus concludes my knowledge of Australia.